I’m retired and currently manage my IRA portfolio of 10 different funds. But I’m thinking I’d like to simplify my portfolio and my life. Short of hiring an adviser to oversee my investments, what do you recommend? It’s no surprise to me that you’d want to streamline your investment approach. After all, retirement is a time when you want to enjoy life, whether that means pursuing new interests, savoring the extra free time you have after calling it a career or both. So if monitoring the performance of your retirement portfolio and periodically rebalancing your holdings to maintain the right balance between risk and return interferes with your ability to live retirement as you please, then, by all means, you should take steps to simplify your investing strategy. Fortunately, there are several relatively easy ways you can do just that. One would be to simply invest your IRA money in a target-date retirement fund. The beauty of doing that you get not just a fund, but a fully diversified portfolio that’s appropriate for various stages of retirement. That said, if you go with this option, you still have some decisions to make. For example, if you’re in your mid- to late-60s and already retired or planning to retire soon, you could choose a 2020 target-date fund, which might start with an asset mix of, say, 55% stocks and 45% bonds. The fund would then gradually scale back its stock holdings until it reaches, say, a 25% to 30% stock stake by the time you’re in your early- to mid-70s. On the other hand, if you’re already in your 70s—or you just prefer a more conservative portfolio—you could go directly to a target retirement income fund, which maintains a steady asset mix, generally 25% to 30% stocks, with the rest in bonds and, perhaps, some cash. The percentages above are by way of illustration only. Not all target date funds, even those geared toward investors of the same age, invest their assets exactly the same way. So before you buy a target-date fund, you’ll want to make sure you’re comfortable with how it divvies up its assets today as well as how that mix might change in the future. You might also consider life-cycle funds, which are also known variously as life-strategy or target-risk funds. Unlike target-date funds, which with the exception of target retirement income funds ratchet down the fund’s risk level over time, life-cycle funds keep investing risk constant by setting an asset allocation and sticking to it. The idea is that you decide on the amount of investing risk you wish to maintain throughout retirement and then find a life-cycle fund with an asset mix to match. Fund families that include life-cycle funds in their lineup typically offer a broad range of asset allocations to choose from: a very conservative, or income, fund that would limit its stock exposure to, say, 20% to 25% of assets; a conservative choice that might invest 40% to 45% in stocks; a moderate fund with a stock allocation of 60% to 65%; and, a growth fund that might invest upwards of 80% or more of its assets in equities. I think it’s fair to say that most retirees would probably gravitate more toward a very conservative, conservative or moderate allocation with stock exposure somewhere between 20% and 60% of assets, as portfolios with higher percentages of stocks can easily lose 25% or more of their value during severe market downturns. Check Out: How Can I Tell If I’ll Have Enough Saved To Cover My Spending In Retirement? And, indeed, as long as you start with a reasonable withdrawal rate, you don’t have to go overboard on stocks to avoid running through your nest egg too soon. To get a sense of what stocks-bonds mix might be right for you—and to see how various blends of stocks and bonds have performed in good and bad markets in the past—you can check out this risk tolerance-asset allocation tool. If you’re not comfortable picking a target-date or life-cycle fund, another possibility is to go with a robo-advisor, or a company that employs algorithms to create portfolios, typically consisting of exchange-traded funds (ETFs), based on your financial goals and tolerance for risk. After creating your portfolio, robos will automatically rebalance your holdings and, in some cases, provide tax-loss harvesting to enhance the after-tax returns for savings invested in taxable accounts. Be aware, though, that many robos deal with their clients primarily, if not exclusively, online, although some, including Betterment, Schwab Intelligent Advisory, and Vanguard Personal Advisor Services provide access to humans and may also be able to help create a plan for withdrawing money from retirement accounts. Whichever route you decide to take, be sure to check out fees, as they can vary widely. 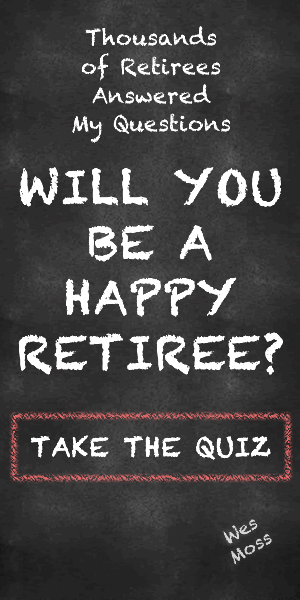 Take the case of target-date retirement funds. Although this 2017 Morningstar report shows that target-date funds’ overall asset-weighted annual expenses average 0.71%, you can easily find ones that charge much, much less. For example, the expense ratios for Vanguard’s target-date funds range from 0.13% to 0.15% a year, Fidelity’s Freedom Index target-date funds charge 0.14% of assets annually, while Schwab’s Target Index Funds have annual expenses of just 0.08% a year. Bottom line: There are plenty of choices out there that can help you simplify investing, although you’ll definitely need to take some time to assess the different options and come up with the one that makes the most sense for you. But once you no longer have that 10-fund portfolio competing for your attention, you should be able to better focus on what really matters at this stage of life, enjoying your time in retirement.